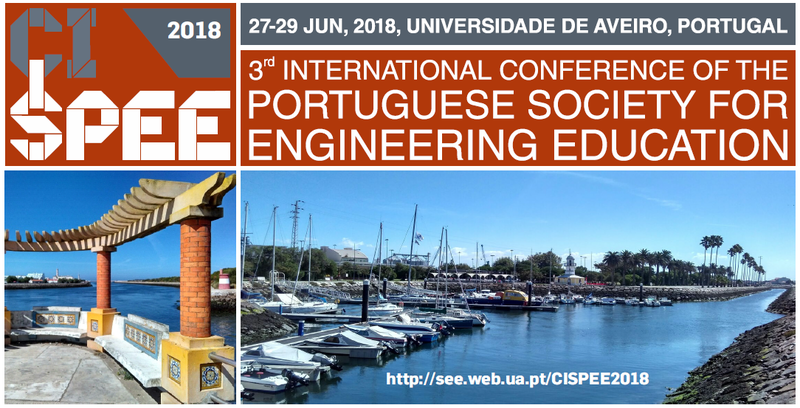 The SEE group is organizing the 3rd International Conference of the Portuguese Society for Engineering Education (CISPEE 2018), with the motto “Changing Higher Education One Teacher at a Time”. The conference will be held at the University of Aveiro, from 27 to 29 June, 2018. Luís Reis, CCCO of Sonae SGPS and Chairman of Porto Business School. – in case you are interested in attend to the sessions and round-table debates during the Conference, personally interacting with the high-profile invited participants and speakers, this is also possible and you are mostly welcomed! The Science and Engineering Education group is a team of Higher Education Teachers and Investigators from the Department of Mechanical Engineering, University of Aveiro, in Portugal. This team is focused on the study and development of skills that are essential to the teaching of engineering related fields, namely the ones closest to mechanical engineering at the university level. To achieve the goal of enhancing these skills, both for teachers and students, this group works in a constant effort to develop activities for the interaction with young students and to attract them to the engineering world.